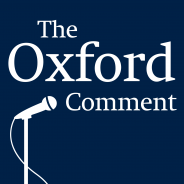 This episode of The Oxford Comment includes discussion of sexual assault. Listener discretion is advised. On this episode of The Oxford Comment we are discussing how one’s thoughts on consent are formed over a lifetime. From what students learn in school to how popular culture in their teenage years frames their reference, the psychology of consent goes beyond a seminar at university orientation. But how students are taught consent in their formative years will affect how they perceive more sensitive topics like abuse and sexual assault in during their college years. We’re joined by Donna Freitas, author of Consent on Campus and Brendan Kiely (@KielyBrendan) author of All American Boys to further discuss the role consent plays from childhood to college campuses, and into adulthood. Featured image credit: Bonding Casual College by rawpixel. CC0 via Pixabay. Episode 48 of The Oxford Comment was hosted by Erin Katie Meehan, Senior Marketing Manager at Oxford University Press. We'd like to thank our guests Donna Freitas, author of Consent on Campus, and Brendan Kiely.